Race Face has predominantly been a mountain bike company, with only one road chainset, the Cadence. This year at the Sea Otter Classic, it introduced further road components, the Cadence and Revolution bar and stem. Complementing the cranks, the Cadence range fits in as the entry level. 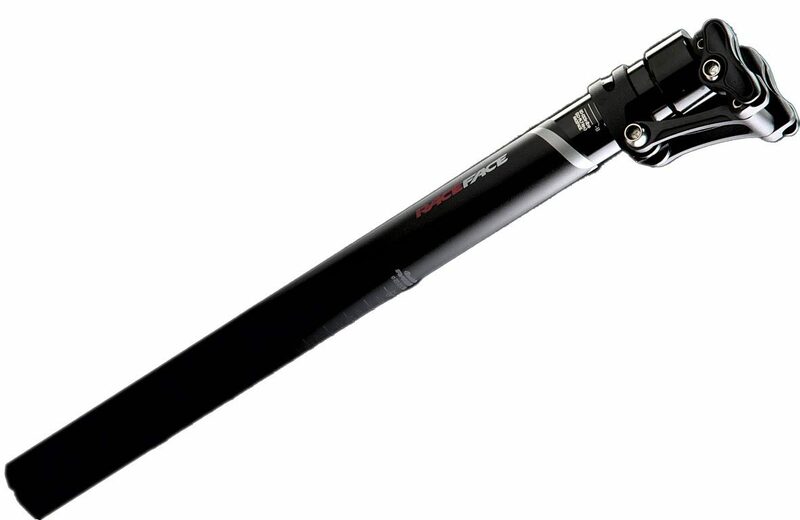 Forged from 6061 aluminium, the stem has a weight of 165g. Utilising a two-piece bar clamp forged from 2014 aluminium, the interlocking U-shaped faceplate eliminates extra stress on the bars. The bar, manufactured from 6061 aluminium, has received internal butting for increased strength and has a weight of 280g. Double grooves mean the bar will work with either Shimano or Campagnolo shifters. Heading the range is the Revolution series. Exactly the same as the Cadence, the Revolution stem has been upgraded to 7075 aluminium, reducing the weight to 140g. Both stems will be available in 70-130mm with a +/-6deg rise and 31.8mm diameter bar clamp. Also upgraded to 7075, the bar has been reduced to 230g with the same features as the Cadence. he bars have a 142mm drop and 82mm reach in an anatomic shape. Measured centre to centre they will be available in 40, 42, 44cm with a 31.8mm diameter. The Cadence stem will retail for £29.95 and bar £44.95, with the Revolution stem being £44.95 and £64.95 for the bar. Contact: Silverfish on info@silverfish-uk.com or www.raceface.com.